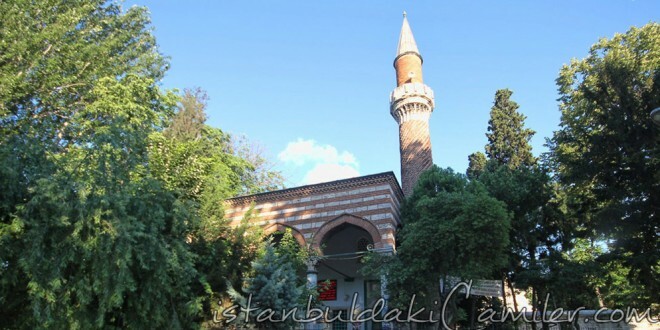 The mascid, which is in Senzadebasi, was built in 1497 upon the order of Emin Nurettin Osman Efendi, who was a qadi in Egypt. It is the only mosque with a wreathed minaret. The pedestal is heptagonic and made of cut-stone. It is wholly covered with single-roof. It was built in the form of one row cut-stone and three rows bricks. There are two lower and two higher windows on each wall of the mosque. Mihrab and minbar have been built anew. While there was a workshop in the mosque which was in damaged until 1958, it was restored intensely frm this period on. As it is understood from the tablet written with thuluth, Emin Nurettin Osman Efendi died in 1554. He is buried next to his mascid, and Defterdar Halimi Mustafa Pasha who died in 1760 is right next to him. The mousaleumstone of the Pasha is Kallavi (a kind of turban).